Cass is a place of learning, knowledge and discovery. But did you know it is also a place of athletic talent? An academic, PhD student and undergraduate discuss how their love of running, triathlons and relay sprinting helps them with their work at Cass. Dr Nick Motson, Associate Dean, MSc Programmes at Cass Business School, has ran the Marathon Des Sables – the equivalent of six consecutive marathons through the Sahara, self-supported – not once, but twice. Nick first ran the world-renowned race in April 2016 and vowed never to do it again. He soon changed his mind though and ran it again earlier this year, to raise funds for the London Air Ambulance. Nick’s running journey began with a bet over Christmas in 2003 between a few colleagues. Little did he know at the time that it would lead to running 156 miles through the Moroccan desert 13 years later. Nick’s second Marathon Des Sables experience saw him join his best friend Jonathan Jenkins, who he has known for nearly 30 years since they were undergraduates together at Cass. Jonathan, who is now CEO of the London Air Ambulance, also ran the race in 2016 but was unable to continue so returned with Nick and a team of London Air Ambulance medics, pilots and past patients to try again this year. Happily, both Jonathan and Nick were successful. Nick, who is 50 next year, now plans to run the World Marathon Challenge - seven marathons on seven continents in seven days. Watch Nick talk about his research and running here. Mikael Homanen is a PhD candidate in the Faculty of Finance at Cass. His research, which was recently featured in the Financial Times, focuses on the intersection of externalities and financial markets with a further focus on banking and investor Environmental, Social & Governance policies. However, he also has another string to his bow – running ultramarathons on a 99 per cent plant-based diet. Mikael has competed in five IronMan triathlons across the world and has previously run a 100km race from London to Brighton. An advocate for a healthier, sustainable lifestyle which complements both his health and the environment, Mikael credits his sports practice with helping him with his PhD and research at Cass. 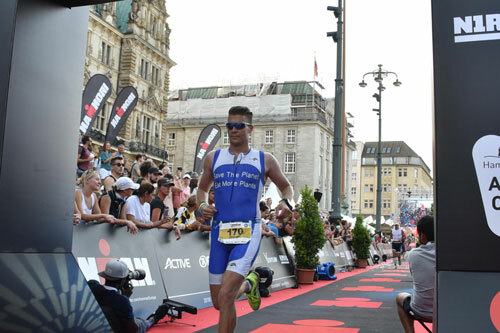 “While IronMans are hard work, they only require 30 - 40 minutes of training per day and it is a massive complement to academic work. For example, I will often go swimming once my head is absolutely done with reading or coding. This is a great way to recharge and avoid burnouts. Eating a plant-based diet with less meat and sugar helps me to remain energetic during the long hours of sitting down, studying. Find out more about Mikael’s research here. 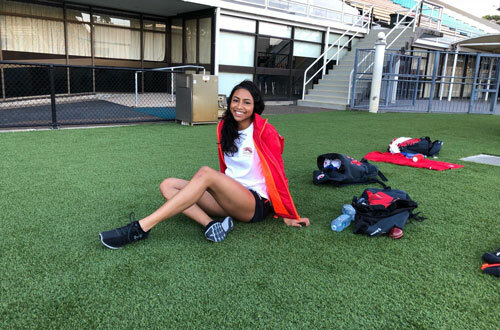 Cass undergraduate and Team England 400 metre relay sprinter athlete Cheriece Hylton recently competed at the 2018 Commonwealth Games in Australia. The second year student processes business statistics and risk management on a daily basis, while also attempting to maintain a social life and train six days a week at gyms across the capital. Cheriece admits that it is not always easy balancing her responsibilities, but says her love of education and athletics as two of the most important things in her life. George Wigmore and Matthew Little contributed to this article.